The odd-shaped lot at the corner of Franklin and College Streets stood vacant for nearly 30 years after Smith & Hill created their subdivision. In 1911 the Village of Crystal Lake purchased three adjacent lots, with the intent to drill a new city well in order to supply water to its residents. As the wheels of government turn slowly, it took 16 years to actually start the project. A pump was installed to bring water from the deep well. The pump produced a flow of more than 400 gallons per minute. Upon completion of the pump installation, bids went out to construct a pump house. In May, 1930, local builder Oscar E. Strom was awarded the contract for $5,695. A pump house is typically a plain, utilitarian-type building. But the pump house on Franklin Street was designed to look like a small house that would complement the neighboring residences. 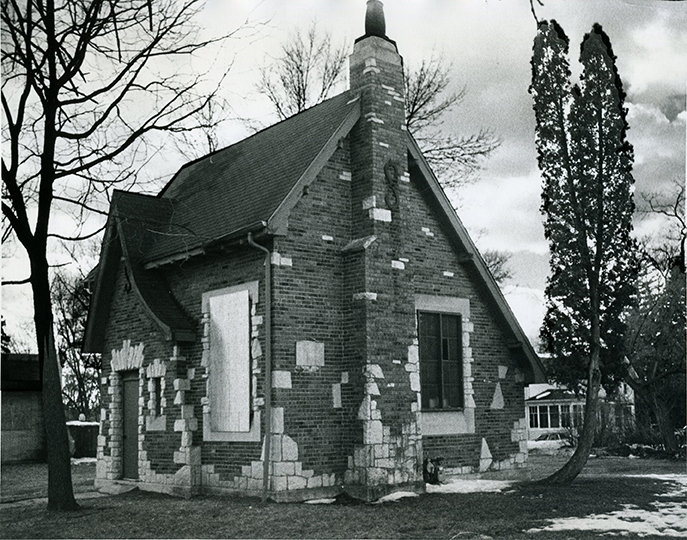 The construction of the new pump house was completed by September, 1930. The building was built of brick and decorative stone. It featured all the classic elements of Tudor Revival styled architecture, including a steeply pitched roof and round chimney pot. The grounds around the pump house were beautified through a collaborative effort of local government, businesses, and civic organizations. The park board donated a number of maple trees to be planted at the location. Warner’s Floral service donated several Chinese Elm trees and two evergreens, which were also planted. The American Legion Post spent $100 to improve the park grounds. The Reddersdorf Hardware Company donated a drinking fountain at one corner of the lot. An ornamental fountain was also constructed to coordinate with the architectural style of the building. The materials for this fountain were donated by The Alexander Lumber Company, and the labor donated by Oscar Strom. Local resident, Henry Hobart installed a colored lighting system under the water of the fountain to create a beautiful lighting effect. The well and pump house were in use until the mid 1970’s. After that, the building graced the corner of Franklin and College Streets, standing as a silent reminder of our City’s past. Twenty years later, School District 47 purchased the property from the City of Crystal Lake. The District had plans to raze the pump house and construct a 37-space parking lot for employees of Husmann Elementary School, which is located across the street. 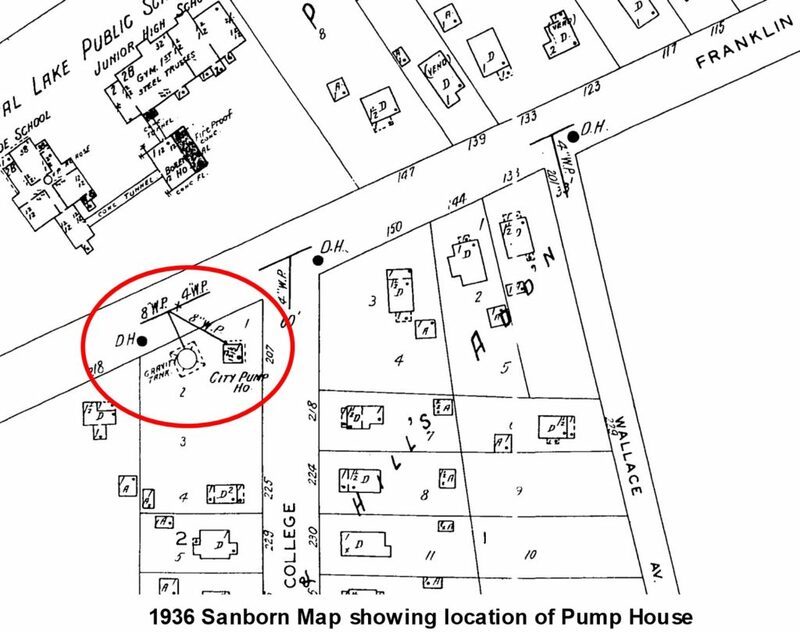 Local historians, neighbors, and concerned citizens saw the pump house as a symbol of the city’s roots, and launched a movement to save the Tudor-style water pumping house. Despite this grass roots effort to either raise funds to move the pump house or to obtain historic designation, District 47 officials went ahead with their plans and demolished the structure.